Tableau showered partners with new resources, tools, and partner program improvements during the Global Partner Summit–the most exciting release being a shiny new Partner Portal that streamlines partnership activities from sales and technical enablement to co-marketing opportunities. As a technology partner, Tableau’s dedication was especially exciting for us as we strive to work in lock-step with all of our partners. 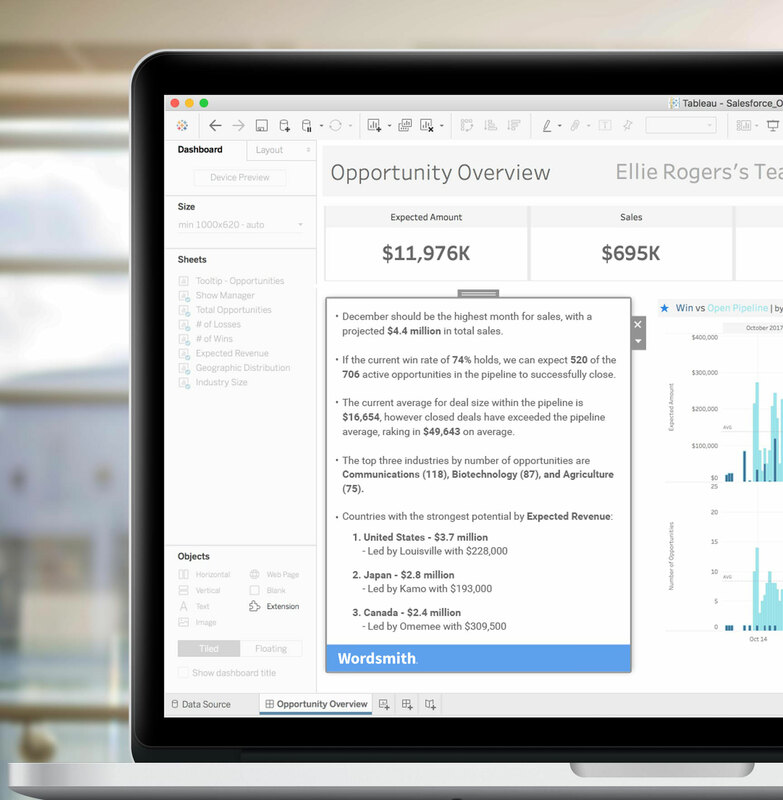 The push to enable partners to develop and drive novel solutions is part of Tableau’s initiative to share a relentless focus on customers and also critical to their near-future growth strategy. We felt extra special when Bryce Gartner, CEO of Icimo, gave us a shout out during his presentation on maximizing the ROI, usage and adoption of Tableau, claiming our NLG “really helps simplify what we’re seeing” in dashboards to reveal important information about users. 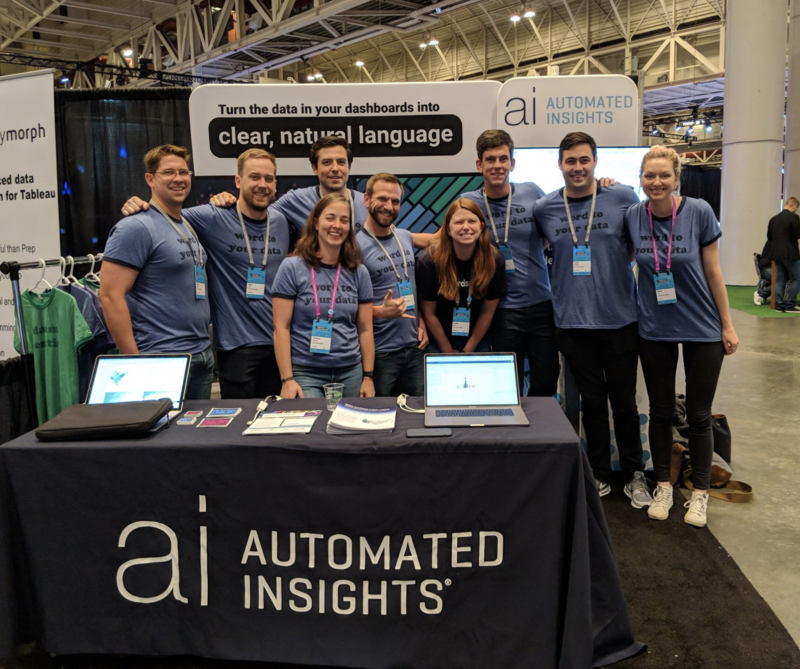 Listed as one of Tableau’s 2019 BI trends, the interest level in natural language was kicked up a few notches this year. Our friends at Allstate shared their experience using natural language generation (NLG) in their sales reporting. The conversation was met with much enthusiasm and intrigue from the audience, illustrating the desire for this technology offering. 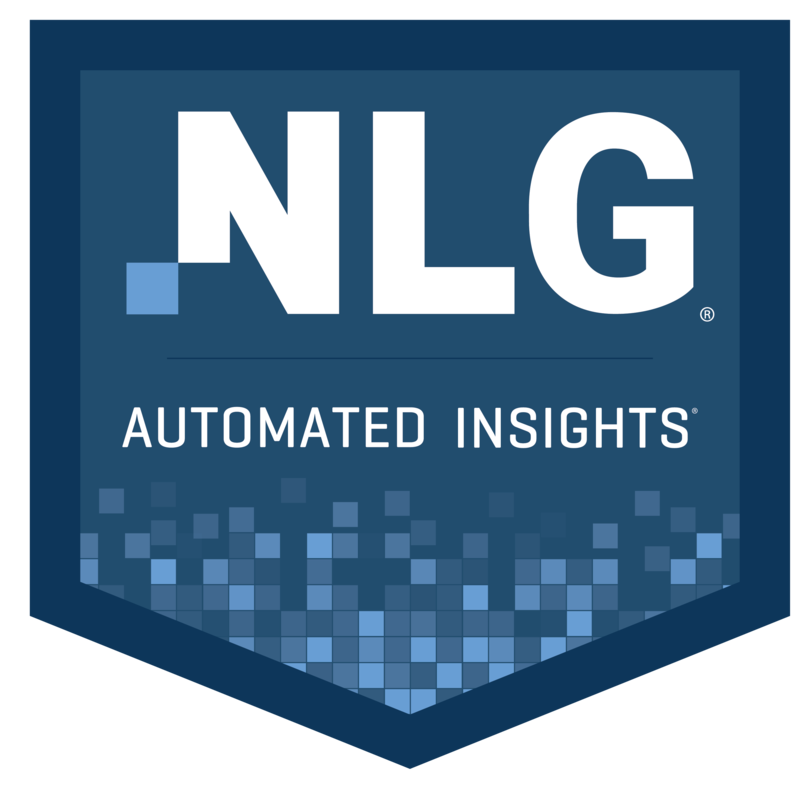 This year, NLG had its very own meetup session where we were able to hear the opportunities and challenges directly from companies interested in expanding their business intelligence capabilities with NLG technology. While we noticed an education gap between the different types of natural language disciplines like NLG, NLP, and NLU in attendees, we witnessed analysts wanting to interpret and communicate their data in new ways that complement their data visualizations and recognized this as an exciting, necessary tool. At our booth, analysts told us how much time they spend presenting and writing reports to accompany their dashboards and making them more actionable. Managers and executives shared complaints over scouring through dozens of dashboards searching for insights, but seeing little to no real business outcomes due to a lack of data expertise and prowess. Pain points aside, an overwhelming majority of folks we spoke with were advocates for new analytics processes at their companies. If you were lucky enough to get into the standing room only “You did WHAT with the Extensions API? !” Developer Sessions or stopped by the buzzing Developer Platform Kiosk or our booth, you may have caught a demo of our new Wordsmith Extension. The Tableau 2018.2 upgrade is great news for those who want to utilize NLG in conjunction with their Tableau dashboards. 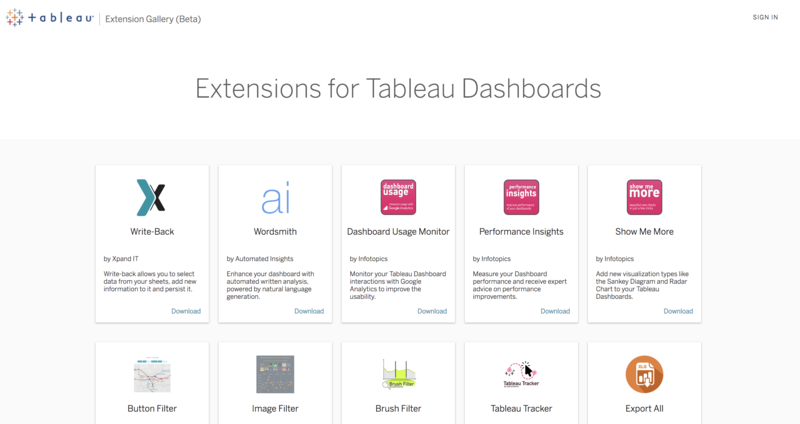 With Extensions, Tableau users can now have natural language analysis embedded directly within their dashboards, allowing for role-based diagnostic, descriptive, and prescriptive written analytics that updates as users filter or select marks. Imagine interacting with your data in new ways without having to write a single line of code. Want to see Ai’s Wordsmith in action? Check out the demo in the Tableau Extensions Gallery. We weren’t the only ones hyped up on NLG, our incredible partners were all singing the same tune and showcasing natural language within their solutions. Interworks nailed it with their “Remix Your Data Experience” theme, handing out highly coveted fanny packs. Decisive Data advocated for “every decision informed by data” with their highly acclaimed book Art + Data in the Tableau store. Our buddies at Icimo illustrated their expertise in building data experiences with a giant lego fortress. And last but not least USEReady, known for grand giveaways, raffled off super bowl tickets while promoting their tools and practices to drive user adoption of Tableau dashboards. A big thanks to our NLG certified partners! Can’t wait to see you next year in Vegas for Tableau Conference 2019! 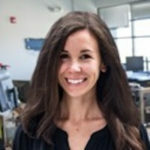 Kaitlin Hileman is a Channel Marketing Manager at Automated Insights, where she develops and drives co-marketing activities with partners. When she’s not designing content or strategizing a campaign, you might find her exploring the great outdoors with her husband or baking a decadent dessert.